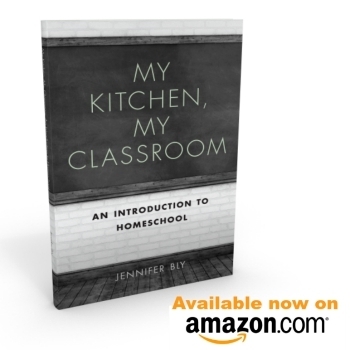 Before I begin, though, I want to let you know that my homeschooling eBook is NOW available! Make sure to pick up your copy today! 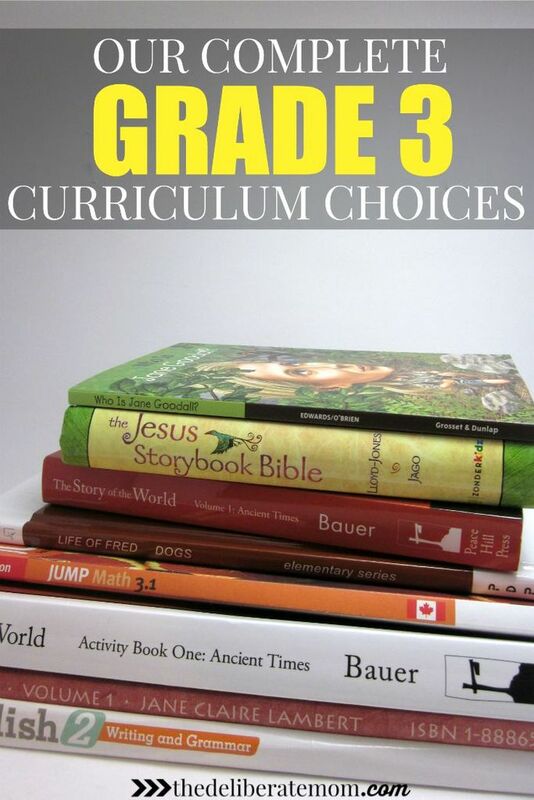 So without further delay, here’s our homeschool curriculum choices for Grade 3! Last year we switched Language Arts curriculum halfway through the year. I felt my daughter was in need of a change. We used Bob Jones English and my daughter loved it. Since we switched halfway through the year, we will complete Bob Jones English 2: Writing and Grammar before we switch to Bob Jones English 3. For spelling, we are working through the Dolch sight words lists. I found FREE downloadable flashcards on this site HERE. We also love our literacy-based activities. I create original literacy-based plans, or I will schedule a week from Five in a Row. We do our literacy-based programming once every six weeks. This year we’ll be playing many games of Boggle and Scrabble to increase my daughter’s spelling abilities. Also, after searching for a couple of years, we finally found the best dictionary ever! We love the newly updated Scholastic Children’s Dictionary. It’s colourful and has many interesting entries throughout. We also have another novel study planned for the year. 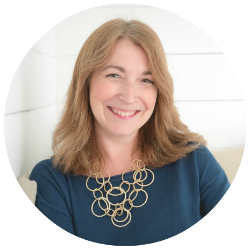 We’ll be delving into The Courage of Sarah Noble. My daughter enjoys the Jump Math curriculum, so we’re using JUMP Math 3.1 and JUMP Math 3.2 this year. She also still adores the Life of Fred curriculum. If you’re not familiar with Life of Fred, it’s a story about Fred and his doll, Kingie. Fred is five years old, highly intelligent and teaches at Kittens University. Every chapter has a Fred adventure, and there are short quizzes at the end of the chapter to test comprehension of the lessons taught. I love this curriculum because it teaches more than math. Science, social studies, and language arts insights are woven into the text too. Last year, we did not align with Social Studies, and we decided not to align with the Alberta curriculum once again. We enjoyed The Story of the World, so we’ll be continuing with that again this year. We have the book, the curriculum guide, the narrated CD set, as well as the tests and answer key. My daughter loves all the hands-on activities that are included in the curriculum. From creating special artwork to making unique recipes, to exploring geography, to learning history; this curriculum is a winner! We just started the Exploring Canada book which is made by On The Mark. There are plenty of worksheets, 3 reproducible storybooks about Canada, and map skills activities. We also read the biographies of amazing historical figures. We especially love the “Who Is?” series. Since Grade 1, we’ve enjoyed the Experiential Education Science Units from The Natural Learning Centre. We’re using them again this year. We already completed the Animal Life Cycles unit. We raised butterflies! It was a fabulous experience. We obtained our butterfly kits from Butterfly Wings and Wishes. Health is such an easy subject to teach because its lessons are embedded in our everyday living. We use some curriculum prompts and ideas, though. Health is another subject in which we use the Experiential Education Units from The Natural Learning Centre. This year we are doing the Jesus Storybook Bible Curriculum. We explore one chapter once a week. On the other days, we do readings from the Jesus Calling devotional for kids. Every year we’ve done an artist study. In Grade 1, we studied Paul Klee. In Grade 2, we studied Maud Lewis. This year, we will be studying Emily Carr. Outside of our artist study, we do regular drawings in our drawing journals, painting, collages, clay sculpture, and assorted 3D artwork. My daughter will also attend weekly art lessons from September to November. We plan a half-hour physical education lesson every day. My girls may do Kid’s Yoga, WiiFit, Zumba Kids, or Dance Kids. Outside of that, we have regular outings for bike riding, community walks, and active times at the playground. My oldest daughter also attends a 2-hour Kung-Fu class once a week and will be taking swimming lessons in October. Teaching practical living skills is one of my favourite activities I do with my children. I educate my girls while grocery shopping with them. I include them in cooking and baking. I also schedule times to sew with them. This year I’m hoping to include more home and car maintenance tasks in our practical life skills lessons. That’s our grade three homeschool curriculum choices for the 2015-2016 school year! 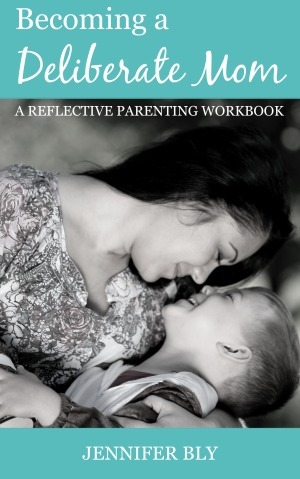 I love assembling curriculum – such fun (and there are so many great choices to choose from)! Lovely choices. We are starting LOF Edgewood also! We absolutely ADORE Life of Fred! It’s probably my daughter’s favourite curriculum. Wow! All these books seem great for kids! Yes they are some really awesome pieces of curriculum. I love our selections for the year. Reading your homeschooling posts get me so excited to start homeschooling when my son is old enough next year. It’s just so awesome to see how personal you’re able to make the curriculum and how flexible too. I love how many options there are out there for curriculum and how tailored you can fit it around your child. 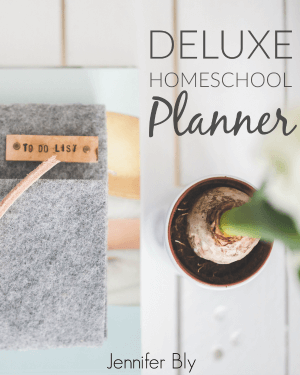 Planning the curriculum is probably one of my favourite parts of homeschooling. I love digging through the books and having subjects cross over one another in a wonderful dance of amazing interconnected bliss! 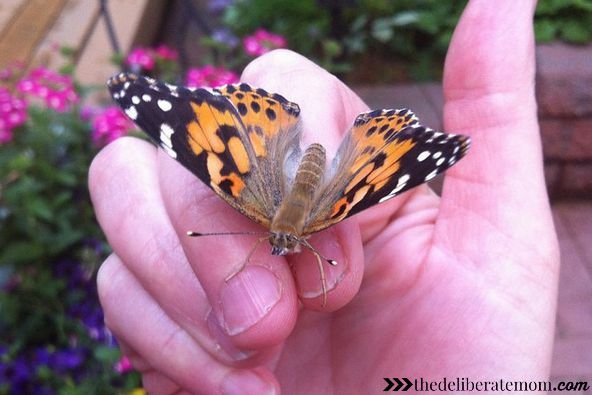 Like when my oldest daughter needed to study life cycles and we had our butterfly hatching kit going while “rowing” The Very Hungry Caterpillar… it was awesome. Such fun! I can’t wait for you to start homeschooling! 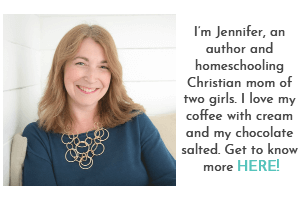 Then we can chat about homeschooling stuff. Do you think you’ll be obsessed?! Do you think you’ll start blogging about it?! I can’t wait!